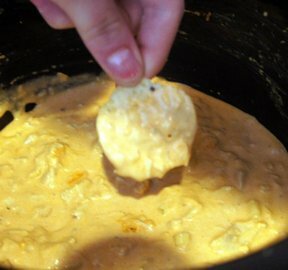 This spicy dip is easy to make and spicy to eat. People of all ages won't be able to keep out of this dip. It's great with celery, crackers or chips. 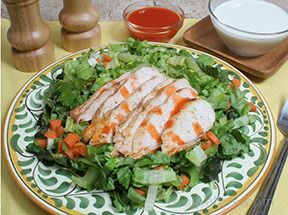 Boil chicken breasts in water. Meanwhile, place other ingredients into the slow cooker on High heat, stirring mixture occasionally until mixed smoothly. 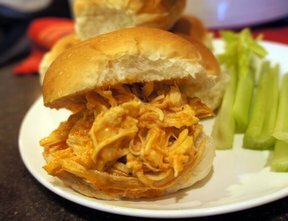 When chicken is cooked, shred chicken and add to slow cooker mixture. Stir well. Turn down slow cooker to Low heat. 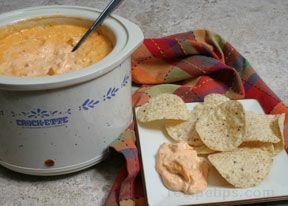 "One of my favorite dips and always a hit, especially at the Super Bowl party. I used rotisserie chicken so I didn't have to cook the chicken myself. I like it best with crackers."